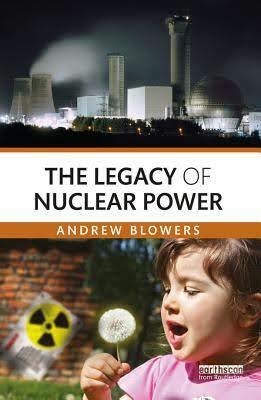 In september 2016, Andrew Blowers, Emeritus Professor of Social Sciences at the Open University published « The Legacy of Nuclear Power ». Nuclear energy leaves behind a dangerous legacy of radioactive wastes in places that are remote and polluted landscapes of risk. Four of these places – Hanford (USA) where the plutonium for the first atomic bombs was made, Sellafield, where the UK’s nuclear legacy is concentrated and controversial, La Hague the heart of the French nuclear industry, and Gorleben, the focal point of nuclear resistance in Germany – provide the narratives for this unique account of the legacy of nuclear power. The Legacy of Nuclear Power takes a historical and geographical perspective going back to the origins of these places. The case studies are based on a variety of academic and policy sources and on conversations with a vast array of people over many years. Find the full review on Wise Monitor here. Jan Haverkamp also interviewed Prof.Andrew Blowers to explore the issues of the book more in detail. This interview is a reflection on what drove Andrew Blowers to dedicate over 30 years of this life to the issue of radioactive waste and the nuclear legacy. Find the full interview on Wise Monitor here. Routledge, Tayler & Francis Group.